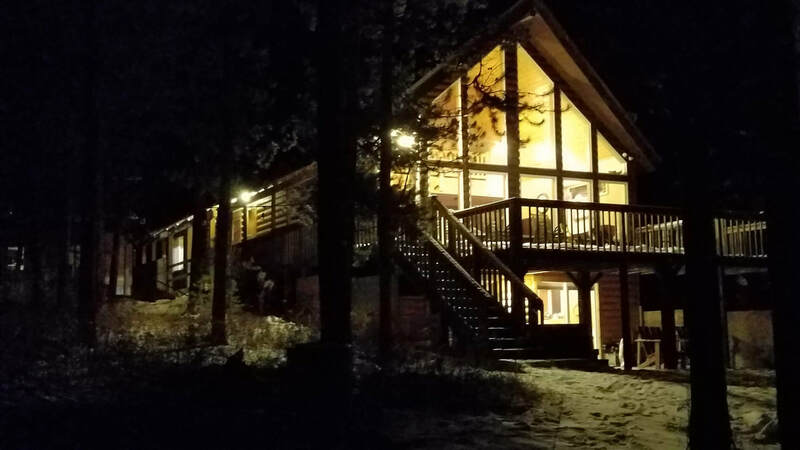 If you visit our beautiful waterfront cabin in Island Park, Idaho, you can waterski, snowmobile, cross-country ski, go 4-wheeling, soak in our hot tub, or just enjoy the scenery while sitting by the fire. 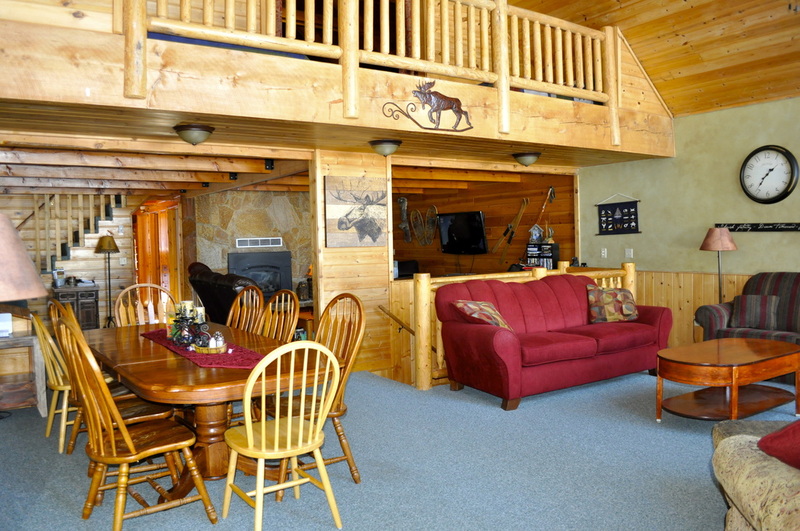 We have 3 bedrooms with 8 beds, 2 bathrooms, washer/dryer, Dish T.V., BBQ grill, games, movies, and all the comforts of home. 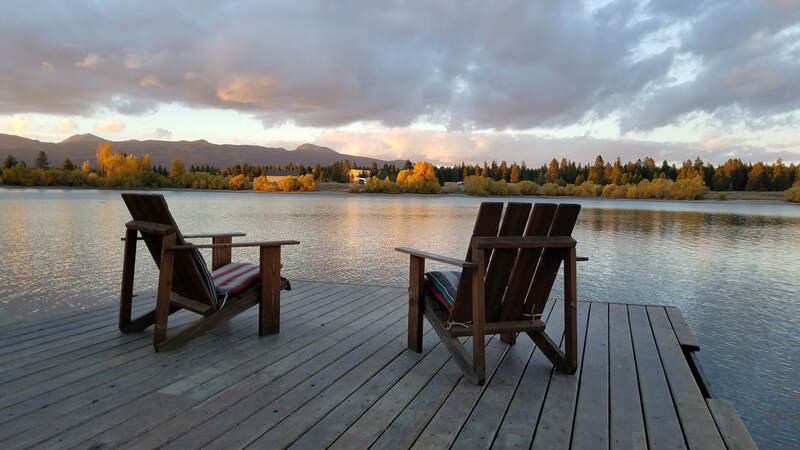 In the summer you can enjoy our canoe, paddle boat, kayak, and stand-up paddle board. Water levels drop in the fall considerably because we are a reservoir, but it is the best time for hiking and trail riding, or a trip to Yellowstone (only 30 miles). In the winter you can enjoy using our 10 pairs of cross-country skis and boots. We have an auger, the ice fishing is great, and right out the back door. 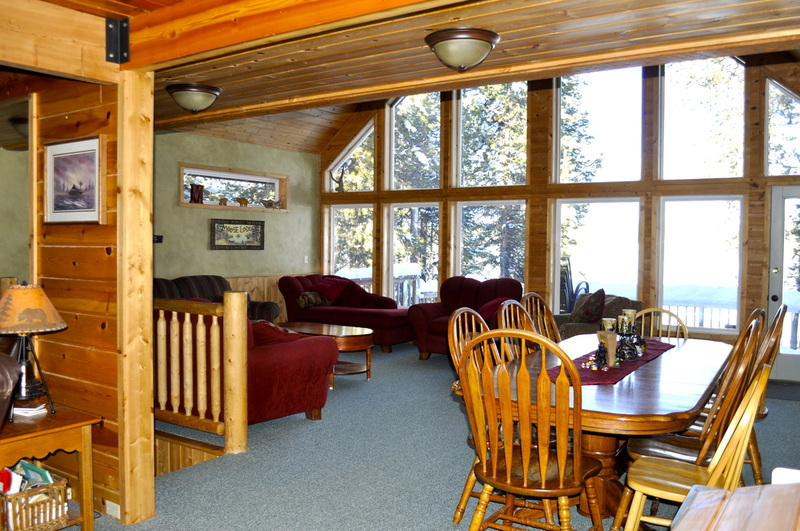 We offer a 4th night free during the fall, spring, and winter. 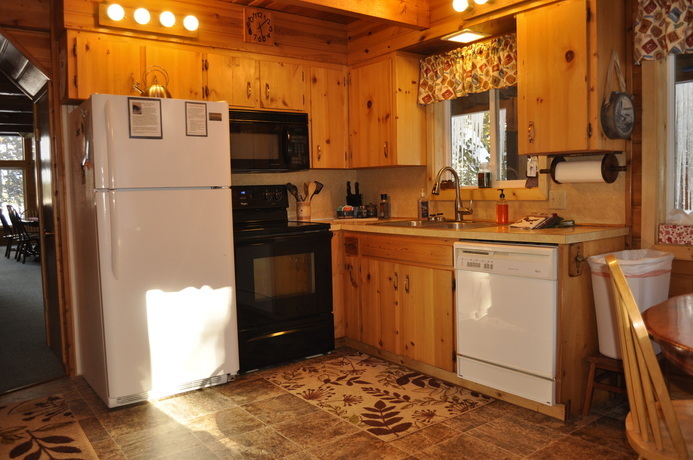 We have a small but functional kitchen with everything you need. This year we have finished two beautiful new bedrooms and a bath above the garage. The last four interior pictures show these new rooms. There will be an additional fee for these rooms, but it will be reasonable. Our cleaning fee is $100. For a small fee you can have WiFi. For maintenance and security purposes, our cabin driveway and parking are protected by exterior video surveillance. justjanmoses@gmail.com Call 208 406-5100 to book. 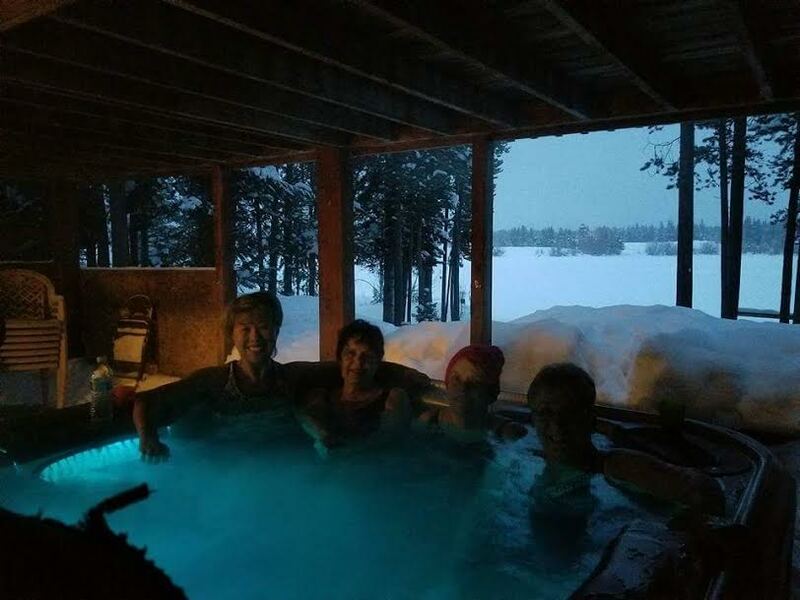 A winter night, the best time for the hot tub! The new stand-up board is a hit! 102 and what a view! In the fall the water levels drop, but it is still beautiful and a great time to view wildlife or take a 4wheeler ride. Below are the new rooms above the garage. There is a beautiful entry, two bedrooms and a full bath. The skis are ready and waiting. If you can't make Harriman, just ski the road. Ice fishing is fun, that looks like a big one! The worms are the best part! Cross- Country Ski the most beautiful place on earth, Harriman State Park. Miles of groomed trails that lead you past the trumpeter swans on the River. The boys caught a big one! Female moose taking a hike across our backyard in late fall. Look who was right behind her. What a great day!